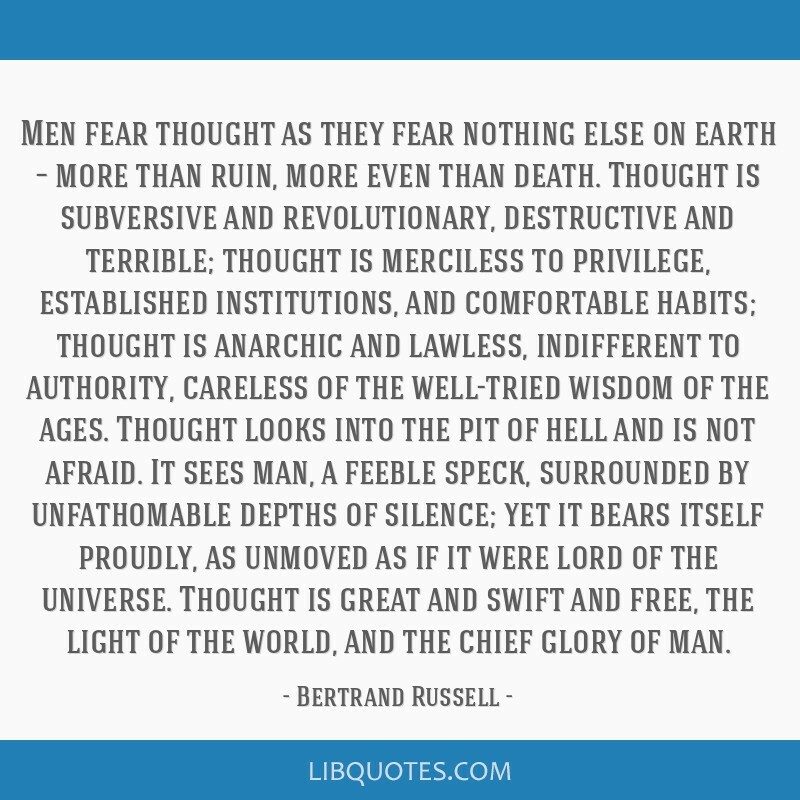 Men fear thought as they fear nothing else on earth – more than ruin, more even than death. 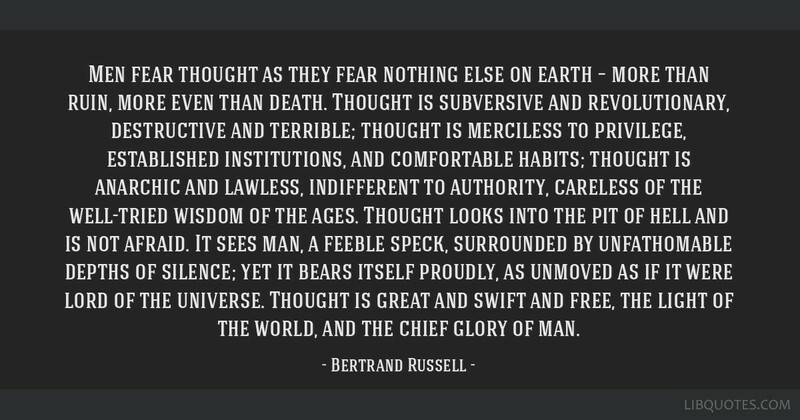 Thought is subversive and revolutionary, destructive and terrible; thought is merciless to privilege, established institutions, and comfortable habits; thought is anarchic and lawless, indifferent to authority, careless of the well-tried wisdom of the ages. 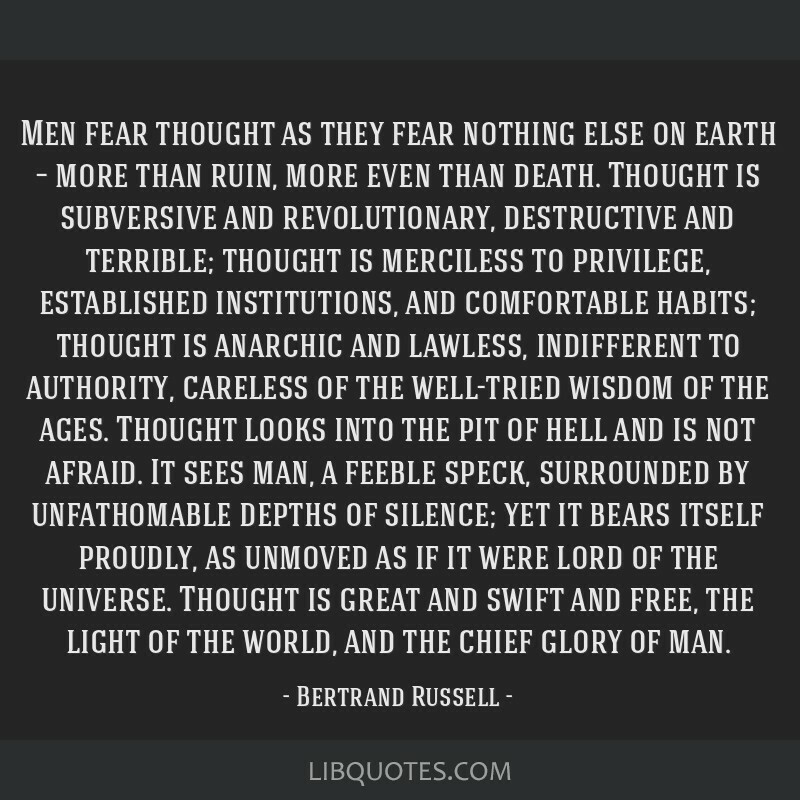 Thought looks into the pit of hell and is not afraid. It sees man, a feeble speck, surrounded by unfathomable depths of silence; yet it bears itself proudly, as unmoved as if it were lord of the universe. 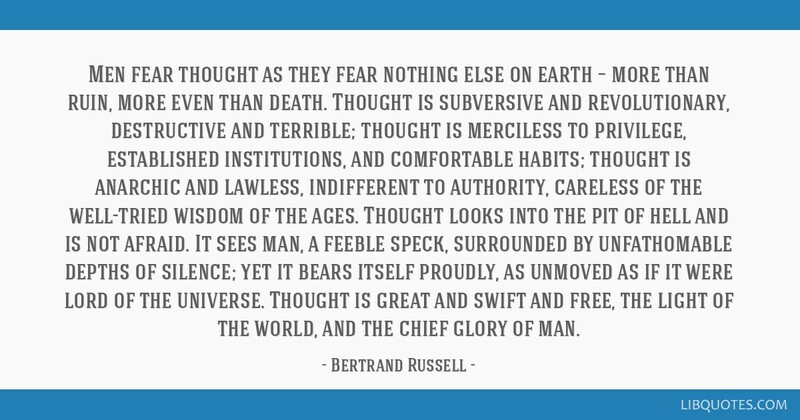 Thought is great and swift and free, the light of the world, and the chief glory of man.